The life extension of spacecraft implies prolonging the operating lives of spacecraft. A major prerequisite for this outcome will be that integrated spacecraft components and parts maintain their integrity without degrading or breaking apart. How reliable and durable they remain during their operating lifetimes will be key. 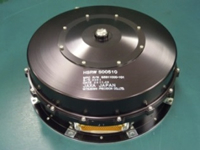 Our research aims to mature technologies capable of improving the durability of battery power sources, upgrading the reliability of the attitude control subsystem, and extending the design lifetime of mechanical parts to prolong the lifetime of the existing LEO satellites from 7 to 12 years. Spacecraft development is typically a long, difficult, and expensive process. Improving the reliability of spacecraft subsystems and extending operating lifetimes ultimately improve the cost-effectiveness of a spacecraft and enhance its international competitiveness. The research has twofold aims: first, to develop technologies capable of extending the lifetimes of key components and parts in order to prolong the operating lives of LEO satellites; second, to mature accelerated testing techniques in order to speed up satellite development. Collecting more data on battery cycle-life through battery charge/discharge cycle testing (tested at different temperature and Depth of Discharge (DOD) settings with typical positive-electrode materials under typical operating conditions). 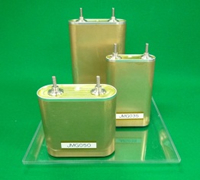 Assessing the battery’s ability to withstand the mechanical environmental effects. Assessing the applicability of next-generation devices to simplify the power control circuit. Comparing ground test data with orbital test data. Conducting continuous, long-running tests to collect more reliability- and lifespan-related data on attitude control devices such as reaction wheels and TDG-IRU. Maturing techniques to assess the reliability and lifetime of attitude control devices. Extending the lifetime of ball bearings and developing a technology to minimize internal disturbances caused by ball bearings. Elucidating a failure mechanism determinant to the limit of ball bearing lifetime and constructing a new lifetime theory. 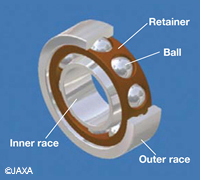 Developing an alternative to ball bearing technology with a very long lifetime of 30 years. Conducting environmental tests, real-time testing, and destructive testing to collect more reference data. Developing techniques for accelerated testing, simplified testing, and life prediction.